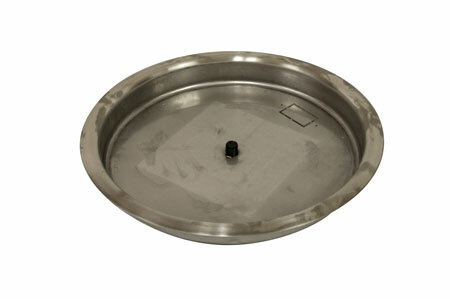 Stainless Steel Round Bowl Burner Pan is available in 4 regular sizes and 2 high capacity sizes. See Options. 4 sizes (regular) available: 13", 19", 25", 31"
2 sizes (high capacity) available: 31", 37", 43"